In stock -This product will ship today if ordered within the next 3 hours and 11 minutes. Potent Wild Nordic Chaga extract and flavanol-rich Cacao from the Peruvian rainforest creates a bi-cultural melting pot. 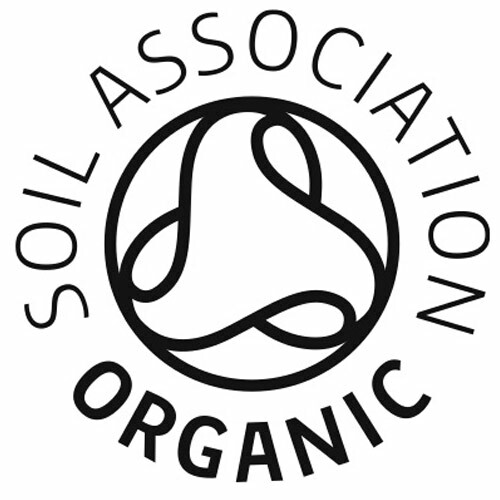 Harvested in two hemispheres, from organically certified forests to ensure purity and sustainability, and carefully blended to create a pleasant-tasting, nutrient-dense beverage. From the icy beech forest of Finnish Lapland and the steamy rainforest of Peru to your cosy kitchen. Organic Raw Cacao (Theobroma cacao), Organic Wild Chaga (20:1) extract, (Inonotus obliquus) extract, Proanthocyanidins (OPCs). Stir one level teaspoon of powder into hot water or milk of your choice. Below are reviews of Viridian Wild Chaga & Raw Cacao Powder - 30g by bodykind customers. If you have tried this product we'd love to hear what you think so please leave a review. Fantastic taste and so nutritious. Will definitely order again. 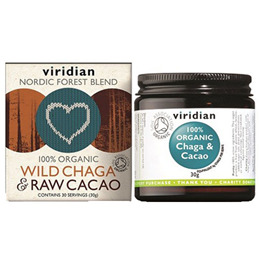 Wild Chaga extract and raw Cacao from the Peruvian rainforest creates a bi-cultural melting pot. Harvested from organically certified forests to ensure purity and sustainability, and carefully blended to create a pleasant-tasting, nutrient-dense beverage.